Drinking alcohol is a way of socialization for many people and it shows that a person can have a good time with the aid of the seemingly harmless stimulator, but what happens when things get out of control? Alcoholics and heavy drinkers often drag their whole families into the problem, as well as their friends and everyone who is close to them. Having an alcoholic in the family does affect the family members not only emotionally, but also financially. It is often the case that the family finds itself sponsoring the drinking sprees of the alcoholic who probably already stopped contributing to the household budget since they are unable to work due to constant hangovers, sickness, and other alcohol-related reasons. We have already mentioned how alcohol affects the family, but it is even worse if the alcoholic is the sole breadwinner in the family. The costs of alcohol will increase once the immunity system develops tolerance to alcohol triggering intake of more and more alcohol. Massive alcohol intake usually affects the user in ways that they neglect their families, obligations and become more self-consumed and less aware of their surroundings. When a marriage consists of a heavy drinker and a non-drinker (or a person not having a problem with alcohol) it can take a heavy toll on the non-alcoholic spouse. They usually witness the withdrawal of their alcoholic spouse who sinks deeper into their own world whereby tensions, disagreement, and more often violence emerge. The alcoholic spouse will probably be just looking for similar company, drinking buddies, and distance themselves from people who take no interest in excessive drinking. A marriage can be seriously affected by alcoholism in very scary ways. The non-alcoholic spouse usually feels alone, unsupported and left aside. They also usually have to come up with another solution for the household budget which is equally disturbing as the emotional torture. The worst case scenario is domestic violence caused due to alcohol abuse, where one spouse physically or mentally abuses their partner. Many children who grew up in a home with an alcoholic, usually a parent, carry the trauma for the rests of their lives. Alcoholism can destroy every relationship, and children who grew up in such circumstances usually have experienced mental abuse or even physical violence, and neglect from the parent alcoholic. Children are put second and later they might exhibit social anxiety, experience difficulties with their personal development, and in the worst case, they later engage in heavy drinking themselves. 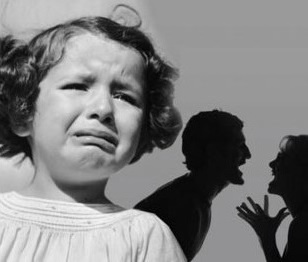 When younger, children suffer that their needs are not met like attending their school events, whereas later, they tend to feel emotional void and emptiness which can lead to rebellious behavior or total shutdown where the children will keep away from the outside world not making any friends or developing socially. Children that are used to be left aside at home, often choose to stay aside even when outside of their home unable to participate in everyday activities as the rest of the children who come from stable homes. Many support organizations have been formed to provide safety, advice, and counseling to victims of domestic violence, especially those that were abused by alcoholics in their family. These organizations usually help the victims to cope more efficiently with their life and to process the traumatic events. Alcohol abuse never concerns just one person; it is the web that will catch all people close to the alcoholic. Parents, partners, spouses and children are usually the affected ones, and they have to carry the pain for the rest of their lives with them, even when they distanced themselves or moved away, the pain will always stay. FebFast - it’s good for you, and it’s great for the people the funds raised will support.